GameSir G3w adopts a 32-bit MCU chip, computing capability is up to 48 million times per second that stands for its high sensitivity and accuracy in overall performance. Floating D-pad makes it easier to discern between the eight compass points. 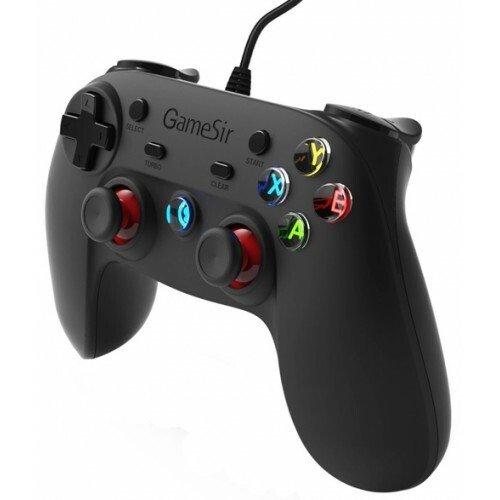 Analog joysticks have 360-degree positioning of ultra-accuracy. Physically designed function buttons, solid and responsive, with a firm action, can be pressed with no effort. The pressure sensitivity of R2/L2 allows players to perceive the press depth accurately, making it much easier to play car racing and drifting games. The USB cable length is 2 meter for comfortable usage.